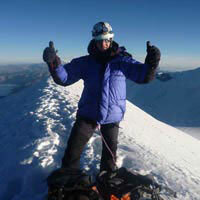 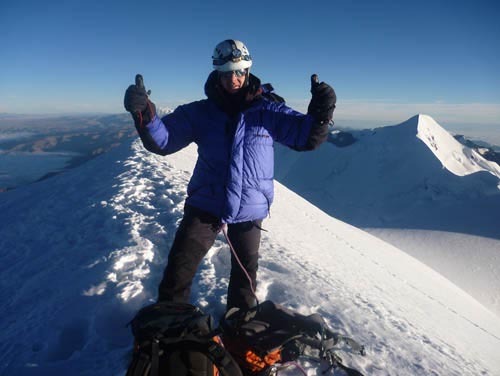 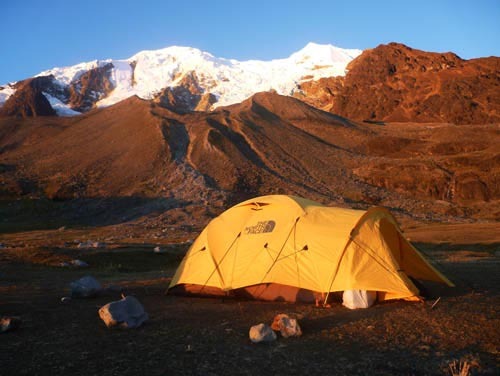 The Mountain Illimani is a beautiful which overlooks the city of La Paz. 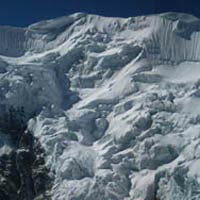 Without a doubt many articles where dedicated to this mountain considered to be the guardian of the city. 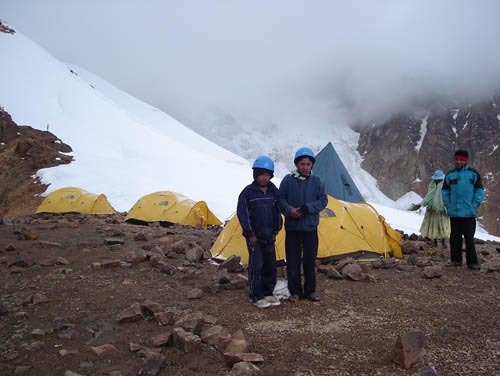 The mountain itself has many peaks that are permanently snow capped; three of them are above 6000m and the highest reaches an astounding altitude of 6.438m. 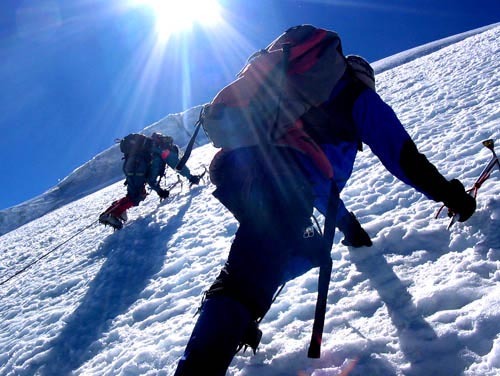 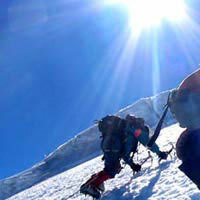 This mountain is reserved for determined mountain conquerors, since it is a technical climb and very demanding. 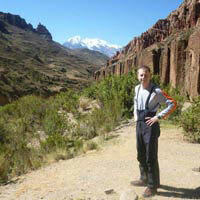 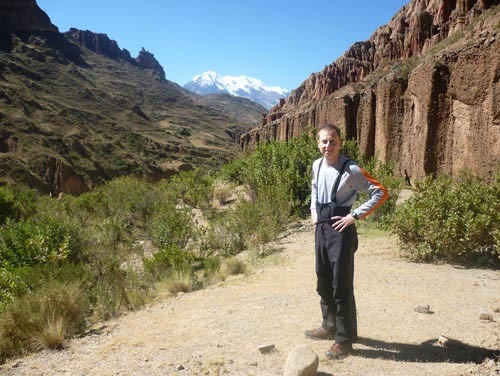 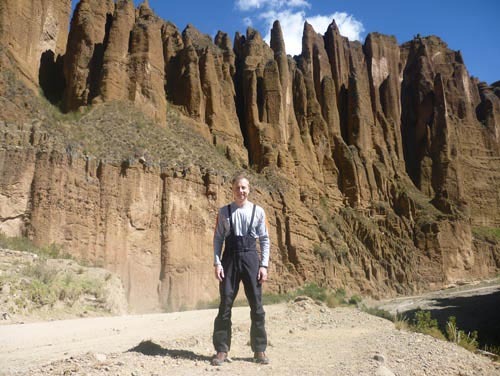 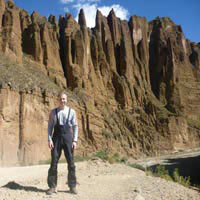 Day 1.- Departure from La Paz by private vehicle toward the small village of Pinaya (3 and half hours trip). 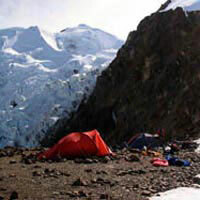 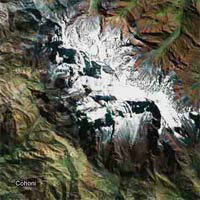 From there we start the 3 hours approach hike to Puente Roto, the base camp of the Illimani. 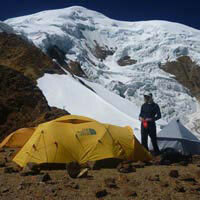 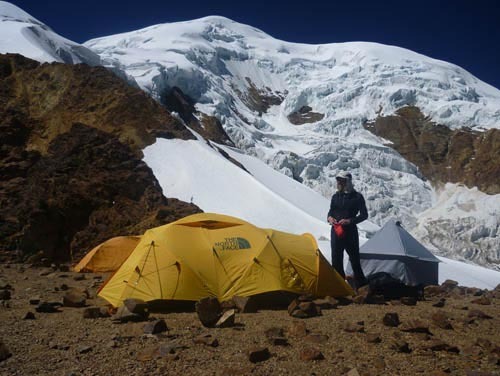 Day 2.- A five hour trek mostly on rock to the high camp - the "Condor's Nest", at 5,550m. 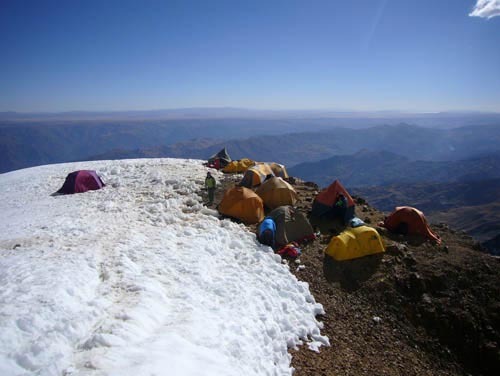 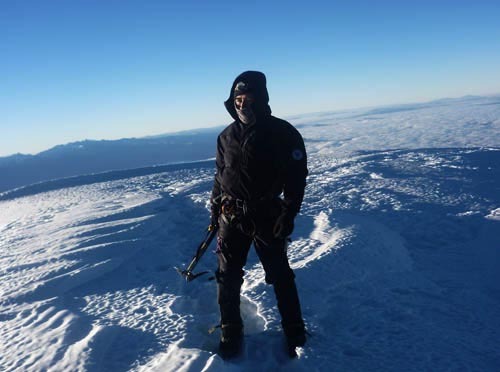 Day 3.- Early start (2.00am) over glacial terrain up to the summit (6,438m). 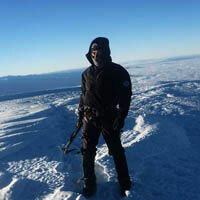 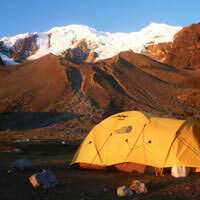 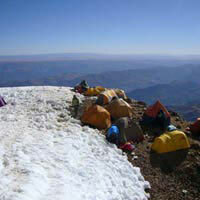 We then return to the high camp, break camp and continue down to the base camp. 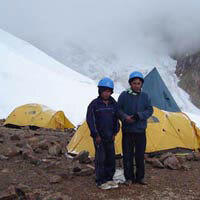 Day 4.- Return to Estancia Pinaya where our vehicle will be waiting, and return back to La Paz.